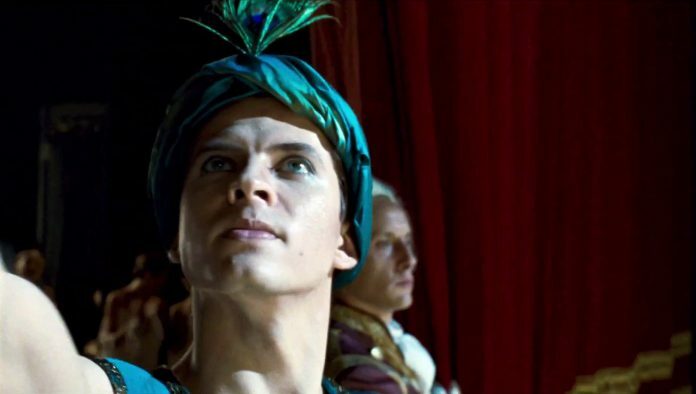 transformed the world of ballet for ever; charting dancer Rudolf Nureyev’s poverty-stricken childhood in the Soviet city of Ufa, his blossoming as a student dancer in Leningrad, his arrival at the epicentre of western culture in Paris in the early 1960s and a nail-biting stand-off at the Le Bourget airport as the iconic dancer faced defection from the Soviet Union to the West in 1961, despite KGB efforts to stop him. Directed by and starring Ralph Fiennes with Oleg Ivenko as Nureyev. From Disney and visionary director Tim Burton, the all-new grand live-action adventure Dumbo expands on the beloved classic story where differences are celebrated, family is cherished and dreams take flight. Circus owner Max Medici enlists former star Holt Farrier and his children Milly and Joe to care for a newborn elephant whose oversized ears make him a laughing stock in an already struggling circus. But when they discover that Dumbo can fly, the circus makes an incredible comeback, attracting persuasive entrepreneur VA Vandevere, who recruits the peculiar pachyderm for his newest, larger-than-life entertainment venture, Dreamland. Dumbo soars to new heights alongside a charming and spectacular aerial artist, Colette Marchant, until Holt learns that beneath its shiny veneer, Dreamland is full of dark secrets. Starring Michael Keaton, Colin Farrell, Eva Green, Danny DeVito and Alan Arkin. A fast-living, cynical London music executive heads to a remote Cornish village on a stag weekend where he’s pranked by his boss into trying to sign a group of shanty-singing fishermen. As he’s drawn deeper into the traditional way of life he’s forced to re-evaluate his own integrity and ultimately question what success really means. A sensational British comedy starring Daniel Mays, James Purefoy, Tuppence Middleton and Noel Clarke. Great children’s films for just £9 and for every child ticket bought, an adult goes free. Grab a Kids’ Club loyalty card, have it stamped five times and get your sixth ticket free. For Kino theatre shows and special events see Let’s go to a show! Previous articleLet’s go to a show!